While the idea of eating healthy sounds delicious already, a lot of people find it tough to stick with a dietary plan where nearly every component should be of the “reduced” version. The “nonfat,” “low-fat,” “fat-free,” and “lite” versions of ingredients may help you maintain your desired weight, but there are products and meals that forego taste just to make room for all the elements that promise to keep you in good shape. The great news is you don’t have to settle for bland and colorless food just to remain faithful to your diet and your vow to keep yourself in shape. The healthy-eating hype has become so pervasive that a lot of chefs, nutritionists and fitness enthusiasts have started coming up with ways for weight-watchers to enjoy their food while not feeling deprived. Sticking to a health regimen doesn’t have to be death-by-boredom. Here we present 20 low-carb recipes that will not only make you healthier, but will also ensure you enjoy your food more—minus the guilt. If you’re pledging to eat the healthy way, you need to regularly eat meals that follow your dietary recommendations. By doing so, you can easily make your body accustomed to the types of food that will help you achieve your goal—whether that’s to lose weight or to gain some. The best way to begin this is by preparing some low-carb appetizers. Got any ideas on what to prepare? Because we do. This is an appetizer that you can pull off using leftovers in your fridge. The Enchilada Chicken and Mango Salad can be a nice starter to any meal. All you need are some shredded romaine lettuce, diced mango, enchilada-style chicken, and diced avocado. Just layer the ingredients on top of each other with the romaine as the base and add a dash of salt and pepper. Prep time only takes five minutes, making it an ideal snack to bring to work too. If you’re partial to Greek cuisine, this Chunky Greek Salad is an appetizer you must try. This starter dish only requires dicing some cucumbers, tomatoes, and red onions, and then combining everything with feta cheese. Once everything is evenly mixed, that’s when you add the Caesar salad dressing and then you’re done. This salad is best served chilled, too. Seafood lovers rejoice, for this appetizer has the potential to become one of your favorite starters. The Shrimp Avocado Salad is a refreshing alternative to your usual chicken salad dish and it’s definitely low in carbs. It’s prepared in two parts: one for the dressing and the other for the salad itself. As for the meat, you will need cooked and deveined shrimp. Simply add avocado and lettuce, and complete the salad with the dressing by mixing lime juice, extra virgin olive oil, chopped cilantro, and a pinch of salt and pepper. Pour the dressing over the salad and you’re ready to eat! Concocted by renowned celebrity chef Cat Cora, this appetizer can be filling enough while helping you evade carbs. As its name implies, the Halibut with Pepitas, Capers, Cherry Tomatoes, and Basil is a medley of healthful options, from the choice of protein down to the garnishing. Preparing this involves searing the halibut and using white wine, lemon juice, and butter as its sauce base. The capers and tomatoes are added when the fish is done simmering. Once it’s simmered, cook it in the oven for about seven to ten minutes, and then toss in the pepitas and basil. If there is one food that you can never go wrong with, it’s bacon. What’s even better is that you can still enjoy this heaven-sent ingredient if you’re following a low-carb diet by putting some on your salad, just like this Bacon, Egg, Avocado, and Tomato Salad. 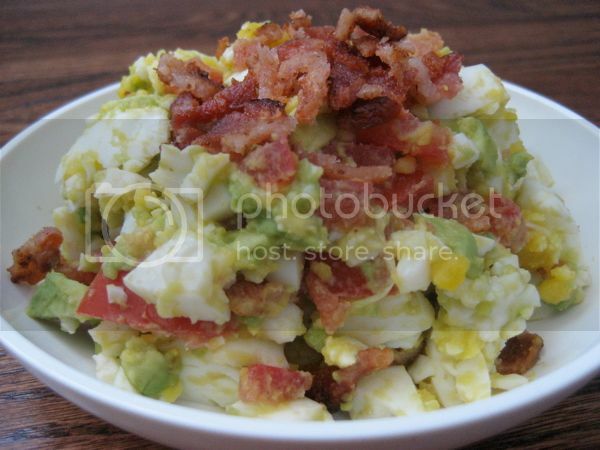 All you need to do is dice an avocado, some hardboiled eggs, and tomatoes, and then mix them with crumbled bacon. Once these are combined, sprinkle on some juice from a lemon wedge and adjust the taste with salt and pepper. Now that you’ve had your fill of sumptuous salads and starters, let’s move on to the main event. Here are five different main courses you can try for lunch or dinner. Just because you’re cutting back on carbs, it doesn’t automatically mean you should also curtail your meat craving. With the Honey Mustard Cuban Pork Burgers you can have your fill of ground pork breakfast sausage and plantain chips. Pack it in with avocados, Dijon mustard, and yellow mustard, and you’re all set. If you’re more into fish, the Mahi Mahi with Cauliflower can be a great addition to your diet. All you need is to sear the fillets and let the oven do the rest of the cooking. As for the vegetables, this dish calls for cauliflower, raisins, almonds, and coriander. Preparation and cooking time takes only half an hour, so you can enjoy low-carb goodness without slaving so much in the kitchen. Another lean dish that will help you stay faithful to your diet, the Grilled Chicken Wings with Greens and Salsa is easy on your digestion while giving you enough energy—minus the carbs you don’t want. Just rub some chicken wings with your favorite spice mix and grill them in the oven for about 40 minutes. While waiting, toss in some of your favorite greens to make a salad; just make sure that you use low-carb dressing. If you want to reward yourself with a sumptuous meal without having to worry about ruining your diet, Lamb Sliders with Ginger Cilantro Aioli is the perfect dish to do just that. Instead of using the usual buns, you can substitute your carb source with sweet potatoes. Just slice them thinly and bake them. Use the ginger cilantro aioli mixture as the spread, then sandwich the lamb (along with greens, onions, and tomatoes) between the slices of baked sweet potatoes. 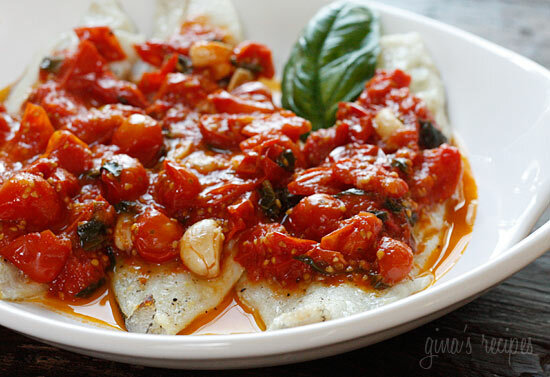 A perfect dish for summer, Broiled Fish with Summer Grape Tomato Sauce will remind you of your mother’s cooking, only this version’s low carb. You can use any white meat fish, such as flounder, sole, or tilapia, which you will broil (or grill) on medium heat. While you’re cooking the fish, toss grape tomatoes, chopped basil, and garlic in olive oil and let simmer. Pour the sauce on the grilled fish when ready and enjoy! A meal is never complete without a delectable dessert. The good thing is, you can have some even if you’ve vowed to reduce your carb intake. Here are some ideas you can whip up in your own kitchen. Chocolate is the sweets department equivalent of bacon—you can never go wrong with it. With the 3-Minute Chocolate Cake, you can enjoy a fantastic dessert without breaking a sweat. This dish makes use of almond flour and you can replace regular sugar with Splenda. But if you want to indulge yourself a little, you can put frosting on the cake or add some whipped cream before serving. If you’re not too much of a sweet tooth, these Almond Coconut Bars might be the treat that you’re looking for. Made of shredded coconut, almonds, coconut flour, and unsweetened chocolate, this piece of heaven is a welcome change from the usual confectionery delights. Who says you can only have chocolate on Valentine’s Day? This sweet course proves that you can have dessert anytime you want, as long as you consume the amount recommended by your diet. The Valentine’s Day Mousse’s base is loads of dark chocolate topped with a whipped “cream” made of coconut milk and vanilla extract. Even if you don’t eat it every day, a serving is good enough to last you until the next time. No oven? No problem! 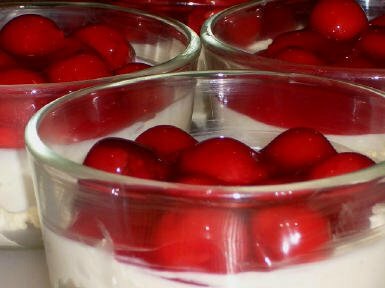 The Low-Carb No-Bake Cherry Cheesecake is the answer to your cake cravings that are being trumped by the absence of an oven in your kitchen. This dessert relies heavily on cream cheese, but you’ll also need heavy cream, sour cream, and low-sugar graham crackers for the base. You’ll also need some cherry pie filling and alternative sweeteners like Splenda or Equal. After combining the cheese and the creams, spread some on top of crushed graham crackers pressed against the base of a dessert dish or a ramekin. Chill this in the fridge for an hour, and then pour some cherry pie filling on top. Another dessert that is easy to make, Jayne’s Jello Cake is a gelatin-based pastry where you’ll combined the batter with Jello, bake it, and chill it. You also have the freedom to use Splenda or another sweetening substitute that is allowed by your diet, so you don’t have to worry about your carbs and sugar intake. The whole point of following a strict diet is that you need to do it religiously so that you can achieve your nutritional goal without compromising on the food’s taste and quality. But sometimes it seems like frappuccinos, sodas, and milkshakes are too ubiquitous to ignore. You can put an end to this torture now as we give you five delicious drinks that will help you quench that thirst and keep yourself in healthy shape. An equally sweet and refreshing drink for your palate, the Frosty Chocolate Mint Shake is prepared using Herbalife’s Formula 1 Chocolate, low-fat milk, and peppermint extract. Simply mix everything in a blender until it’s evenly combined, and garnish the smoothie with mint leaves on top. You can also substitute low-fat milk with soy milk, if desired. A favorite among foodies, whether weight-watching or otherwise, the Banana Strawberry Smoothie is practically a household name in every diner. The good thing is you can make your own low-carb version with this recipe by simply replacing the usual whole milk with low-fat yogurt. And aside from the banana and strawberries, you can also add some kiwis to give this beverage a more tangy twist. If you’re partial to the sweet and sour tastes of lemon, the Lemon Meringue Smoothie is something you should try. 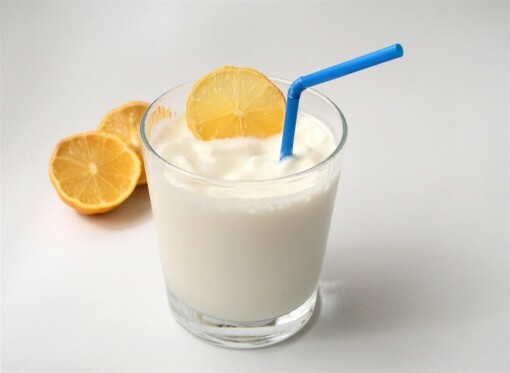 This beverage makes use of plain Greek yogurt, cottage cheese, lemon, and lemon-flavored stevia. You can also serve it with slices of the citrusy fruit for a more refreshing experience. If you’re looking for a better drink to go with your low-carb breakfast, the Sunrise Smoothie would be the perfect answer. This smoothie is all about watermelons, cantaloupes, orange juice, and plain, low-fat yogurt. Mix these delights in a blender until smooth. You can also serve these with slices of the fruits you used if you’re looking for a more filling meal. Another staple on any smoothie list, this Banana Fruit Shake can be prepared by using Formula 1 Vanilla, nonfat yogurt, bananas, and peaches. Combine all the ingredients using a blender until it’s all smooth. With these 20 recipes, there is no way for you not to stick with your diet, much less achieve your dream shape and weight. If you have any low-carb recipes that you want to share too, let’s talk about them in the comments section below.